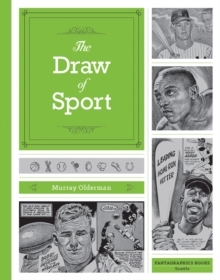 The Draw of Sports compiles, in art and text, more than 150 of nationally syndicated columnist Olderman's favorite personalities (of an estimated 6,000 potential subjects) from the sporting world. Each full-page illustration is accompanied by Olderman's own personal reminiscences of those illustrious stars. Amongst the many names readers will recognize: Abdul-Jabbar, Ali, Berra, Chamberlain, Dempsey, Elway, Koufax, Lombardi, Mantle, Robinson, and Wooden. As a nationally syndicated columnist, Olderman met - and in many cases, got to know - most of the greatest sports personalities of the 20th century, going back as far as Jesse Owens and Babe Ruth, up to present-day superstars like Tiger Woods and Kobe Bryant.